The special counsel's office deliberated at length with Justice Department officials about issuing a subpoena for President Donald Trump to be interviewed, but ultimately the decision was made not to move forward with such a significant investigative step, according to a source familiar with the matter. For months, Robert Mueller's team had requested a sit-down interview with Trump, but the President's lawyers refused to commit and negotiations continued. Eventually, the special counsel submitted written questions to the President last fall concerning the time frame before the 2016 election, which Trump answered in late November 2018. The source said the sensitive discussions between Justice Department officials and the special counsel team, and the determination that a subpoena would not be pursued, were based on the perception of the evidence and merits of the issues -- separate and apart from the fact that current department policy dictates that a sitting president cannot be indicted. While not directly addressing the issue of a presidential interview, Attorney General William Barr's letter to Congress on Sunday offers a further glimpse into how officials at the department didn't believe they had a prosecutable case against Trump on collusion or on the question of obstruction of justice. 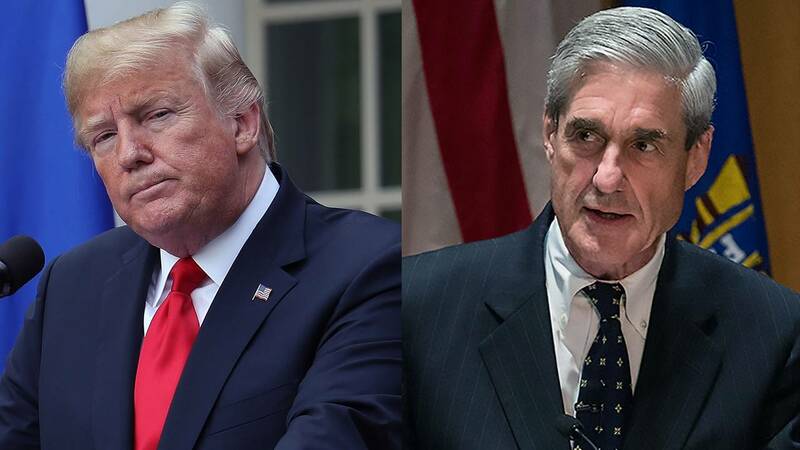 "In cataloguing the President's actions, many of which took place in public view, the (Mueller) report identifies no actions that, in our judgment, constitute obstructive conduct, had a nexus to a pending or contemplated proceeding, and were done with corrupt intent, each of which, under the Department's principles of federal prosecution guiding charging decisions, would need to be proven beyond a reasonable doubt to establish an obstruction-of-justice offense," Barr wrote. The special counsel's office and the Justice Department declined to comment on internal discussions of a subpoena. In the end, the decision to not make a formal request for a subpoena was critical, because that demand, should it have been rejected, would have been communicated by the attorney general to Congress, as the special counsel regulations mandate. Instead, a formal request from Mueller wasn't made, allowing Barr to say in his letter to Congress on Friday "there were no such instances during the Special Counsel investigation" where Mueller was turned down.